Our Board and District Directors exist to support the mission of the OYSA by directing policies that will carry youth soccer in Oregon for decades to come. This is a tremendous opportunity for volunteers who want to influence and shape our programs for years to come. We have several open positions on our board and in our districts, and we need more dedicated, passionate volunteers to help us steer Oregon youth soccer into the future. 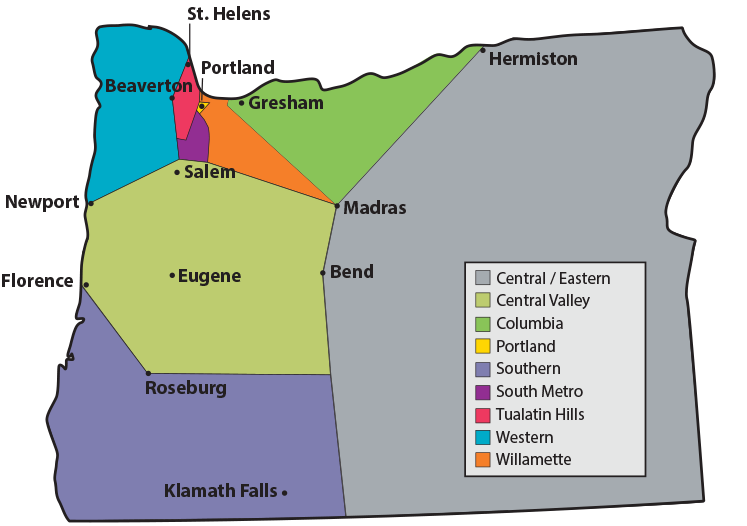 Soccer in Oregon is divided into nine districts. District boundaries are formed by population of area served. Each district is represented by a District Directors. District Directors are nominated and elected by the members clubs within their respective Districts at the OYSA Annual General Meeting. District Directors shall be limited to a maximum of two three-year terms. They will serve on the OYSA board and attend or call into the monthly meetings.